NEW ! ! ! ! 6" x 6" Children's Alphabet Books ! ! ! 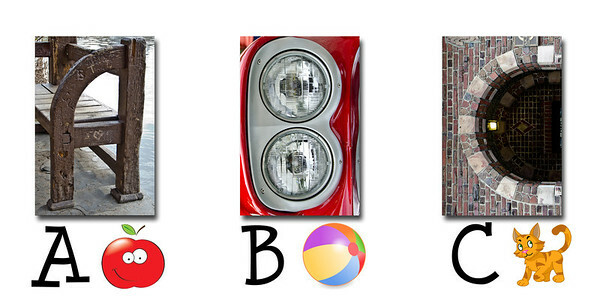 These HARDCOVER books are made using some of PhotoSpell's favorite letter photographs. Printed on high qulity, heavy weight paper, these book are professionaly bound and covered. The pages lay flat and have NO "gutter" or seam running down the middle of the pages. (Opens to 12 inhes wide) Use this book as a fun new way to help your child learn the alphabet or even to look at the world in a whole new light ! ! ! Books are available in ANY color you choose. You can also customize the front cover to read a child's name. On the back cover, you can add your own message or even a photo of your own. Some ideas include adding the child's photo to the back cover, a family photo, or just a message from Grandma and Grandpa to help remind them of this great gift each time it is played with. Email us at photospell@gmail.com to order yours TODAY ! ! ! Non-personalized books are $45.00 (plus shipping). Add front and back cover personalization for only $5.00 more ! ! !